Air-Con/Pro-Torq – W.T. 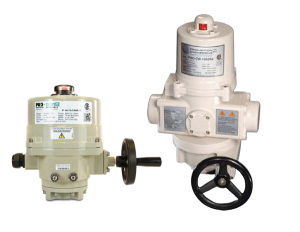 Maye, Inc.
Air-Con has concentrated its design on modern actuator technology and has become an important partner of the valve industry to fulfill the requirements of end users and consulting engineers. Products have been designed to meet our customer’s wide variety of applications. 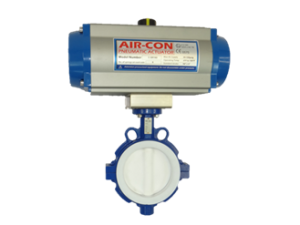 Air-Con’s products are used in almost every energy related industry, including oil and gas production, both on and offshore, oil and gas transmission and petroleum refining. Other markets include chemical, petrochemical, pulp and paper, food and beverage, and water systems. 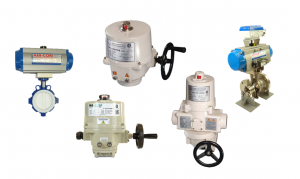 Pro-Torq’s ELO Series electric actuators are designed and produced to provide years of service in demanding industrial environments such as chemical processing, waste and water treatment, power generation, oil & gas, marine, mining and building services. These quarter-turn units drive dampers, ball valves, butterfly valves or inlet guide vanes that require torque ranges from 300 lbf-in up through 177,000 lbf-in. With Pro-Torq’s world class quality, the ELO Series provides our customers with an industry leading actuation solution, featuring increased technical capabilities to meet all phases of small or large projects. Shop a selection of our P.B.V. 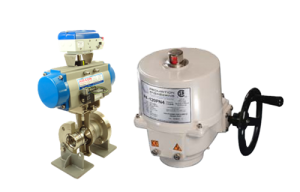 Valves products online.